(NationalSecurity.news) In a little-noticed story posted at the International Business Times last week, the British government substantially raised the stakes in the Syrian civil war: Without much fanfare, London gave its air force pilots the authority to shoot down any Russian warplanes that threaten them. The Times, in its online edition, noted that, as relations between the West and Russia continue to sour amid competing interests in war-torn Syria, RAF (Royal Air Force) pilots were given approval to engage any Russian jets that they perceive as an immediate threat as they fly missions in support of rebels battling President Bashar al-Assad’s regime. Russia, meanwhile, is supporting Assad. The Times notes that the approval to engage Russian warplanes puts the UK and Russia “one step closer” to being at war. RAF Tornado pilots have been instructed to avoid contact with Russian aircraft while engaged in missions for Operation Shader – the codename for the RAF’s anti-ISIS work in Iraq and Syria. But their aircraft have been armed with air-to-air missiles and the pilots have been given the green light to defend themselves if they are threatened by Russian pilots. 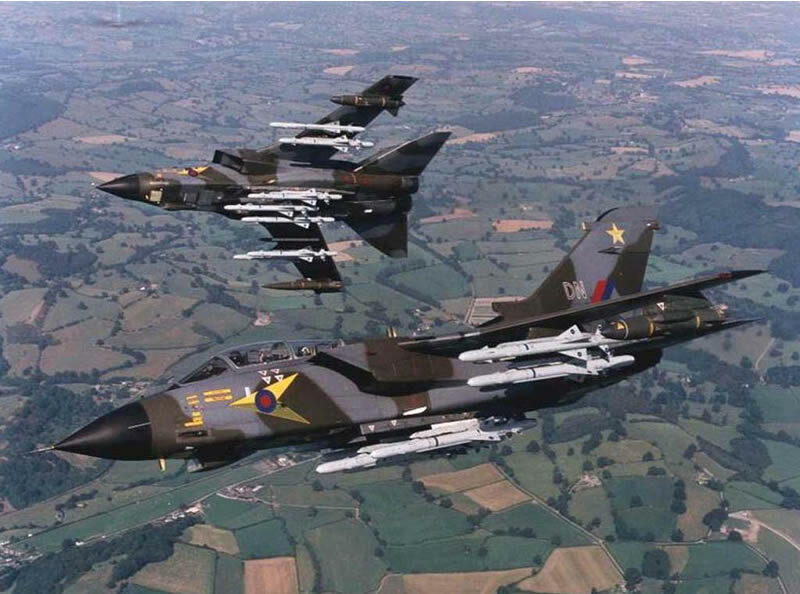 Britain has deployed Tornado fighter-bombers in Syria as part of a U.S.-led air coalition flying in support of anti-Assad forces. They are armed with Advanced Short Range Air-to-Air (AIM-132) Missiles, which are capable of reaching speeds three times that of sound and have a longer range than other air-to-air missiles in its class. This military technology would allow RAF pilots to engage Russian planes without being in range of the enemy’s missiles.